4: Sawback Manticore gains flying until end of turn. 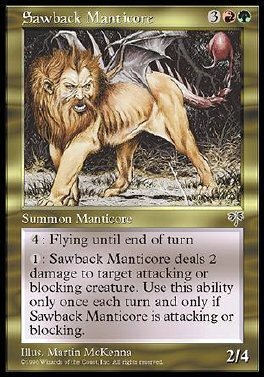 1: Sawback Manticore deals 2 damage to target attacking or blocking creature. Play this ability only if Sawback Manticore is attacking or blocking and only once each turn.